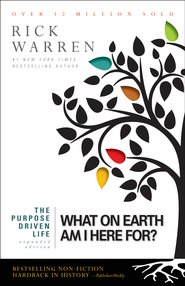 For Lent, I’m re-reading The Purpose Driven Life by Rick Warren. Both tree-book and e-book formats contain links to teaching resources. Here’s today’s link. Below, I’ve embedded Rick’s extended introduction to the five purposes.